Opening times Mon–Sat 11.30am–11pm; Sun noon–10.30pm. The Bell has live music three times a week ranging from jazz to folk, with an open mic night on Thursdays and DJs on the weekend. 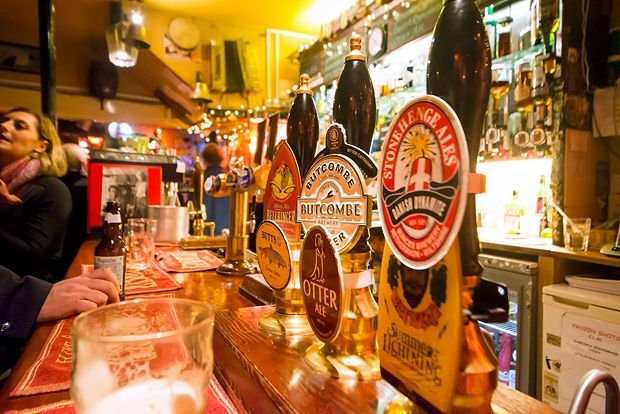 A historic free house and music pub on the edge of Bath city centre: it is owned by 536 of its customers, fans and workers under IPS CoOperative rules. We have live music three times a week ranging from jazz to blues to folk to other things, open mic nights on Thursday, plus vinyl DJ nights at the weekend – always free. We stock seven real ales plus two guest ales. We are in The Guardian and The Observer guides to summer pubs as well as the Lonely Planet, Rough Guide, the Good Beer Guide and Le Guide du Routard. For your amusement we have table football, bar billiards, chess, backgammon, free wi-fi, a real fire and even a launderette.